In the event of a failure or if you require feedback on your AXON equipment, fill out and submit the Field Performance Report Form below to appaftermarket@axonep.com. Once submitted, the report is assigned an AXON FPR number and distributed to appropriate AXON shareholders (ref. 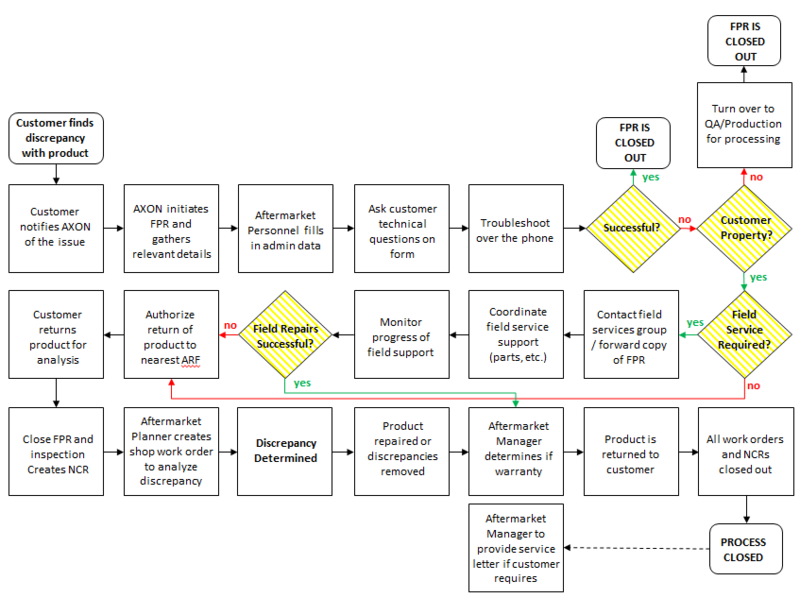 FPR flow diagram - click to enlarge).